Whether you love all the red and pink in February or hate the commercialization, Valentine’s Day is fun for little ones. Candy, love notes, more candy, balloons, and even more candy. Who can blame them? But, sometimes the Valentine’s Day themed books can be a little much. We prefer quirky love stories in our home. If you want to find some heartwarming, silly books that talk about love all year long rather than just in February, here is a list for you. 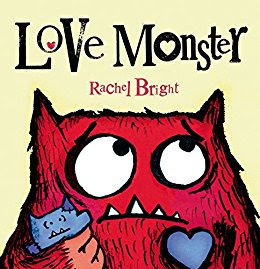 By far, my favorite children’s book about love is Love Monster. A monster is looking for love, but his quest for love is long and hard. When he is ready to give up, love finds him. Between the adorable pictures and the lines about searching for love that resonate with both kids and adults, this book always leaves me teary-eyed. My kids cannot get enough of I Love You, Stinky Face. This fun book combines outstanding illustrations with silly ideas that represent a mother’s unconditional love. So what if you are a super smelly skunk? “I’d plunk you in a bubble bath! But if you still smelled stinky, I wouldn’t mind. 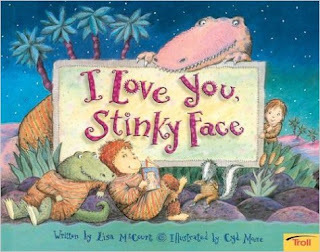 I’d whisper in your ear, ‘I love you, Stinky Face.” We regularly repeat lines from this book to one another. These terms of endearment sure beat all the regular mushy-gushy Valentine’s stuff. 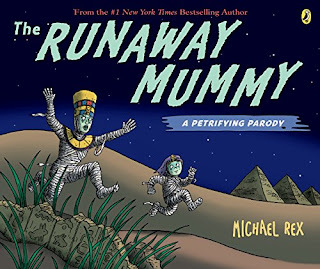 Another nontraditional book about a mother’s unconditional love is Runaway Mummy. This book works well for my Halloween, spook loving children. This mommy mummy will stop at nothing to stay near her boy. Except for turning into a soccer mom. What toddler is not a fan of the amazing Sandra Boynton? She can do no wrong in their eyes (or mine). 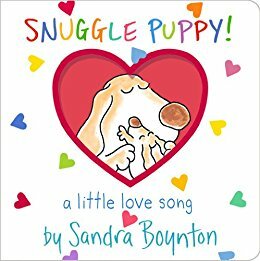 The reason I love Snuggle Puppy is because it gives parents the chance to sing loudly, smooch and squeeze their little ones. We sing the song to each other often – not just on Valentine’s Day. 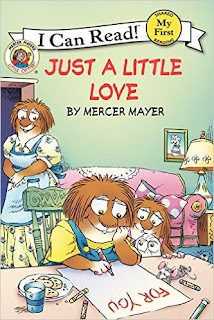 The whole idea of this book is that sometimes people just need a little love, and it shows children all the different ways you can show just a little love. I love Mercer Mayer books because they are so realistic with their truthful messages (and humorous). Mom’s dinner falls to the floor? She needs a little love. Dad gets a speeding ticket rushing to grandma’s house? He needs a little love. If there is a book that illustrated the way my second child loves, it is this one. If you have never read the poem, you should read it right away. My favorite lines are “I am your praying hands; you are my saying grace. I am your favorite book; you are my new lines.” It is beautiful and true. Yet, it also makes me smile at the differences in the way a child sees you and how you see your child. Look at their little Crankenstein faces. Bless. I wanted to include just one actual Valentine’s themed book, but I chose a book that is also nontraditional. 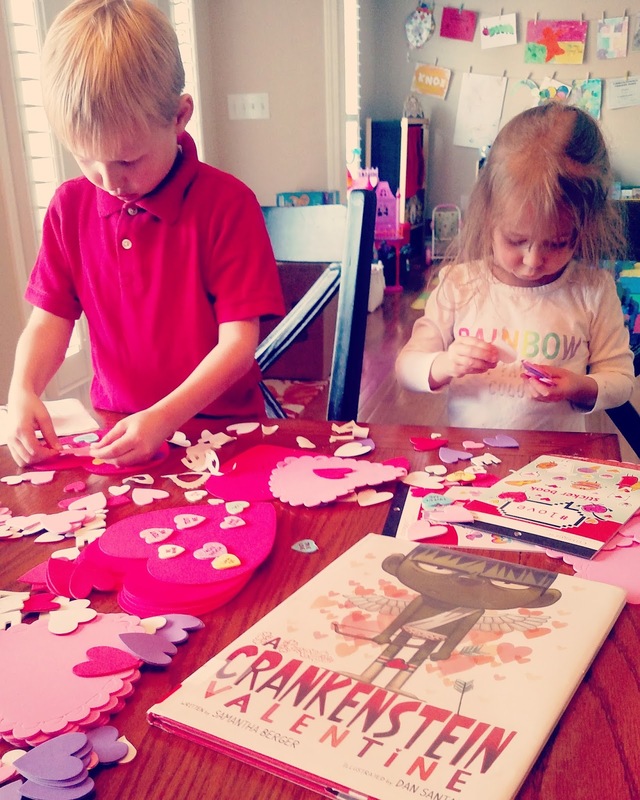 Crankenstein is not a fan of all the Valentine’s mushy stuff. There is lots of silliness about icky yucky hearts and jokes about underwear, so it is a hit with my 6 year old son. But, little Crankenstein finds a friend who shares his hate for all things lovey-dovey, and this makes him appreciate the holiday a little more. 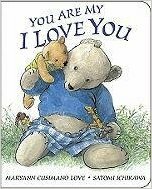 Any other quirky, nontraditional children’s books about love I should add to the list for Valentine’s Day and all year round? Ooohhh all of these books sound awesome! I think I will indulge, and buy some of these! Thanks for the recommendations!